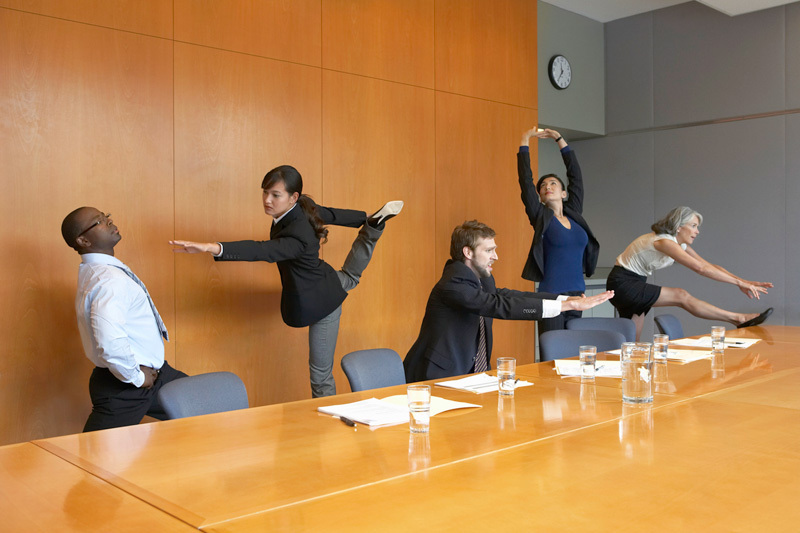 Are you thinking of introducing a new exercise routine within your workplace? Good! This is a very responsible and beneficial task to undertake! Busy modern life can mean anything but being physically busy these days, especially if you work in an office. This involves lots of mental strain but hardly any movement. Prolonged periods of sitting down can lead to poor posture, impaired circulation and poor muscle tone. Slumping in front of a computer can have lots of ill consequences too, such as the development of muscle imbalances. Therefore, it is incredibly important that you find ways of alleviating this stress and moving about a bit more. This is where Pilates can help. Pilates is a form of exercise founded by German gymnast Joseph Pilates – hence the name. This focuses on strengthening your core muscles and improving your complete physical well-being. This form of exercise is very low impact and will not cause you to get out of breath much. It focuses more on control and balance, following a series of posture based exercises to build muscular strength and provide a greater awareness of your body and mind. There is so much more to Pilates than just a series of exercises. It is therapy for the mind, body and soul – changing the way we move and interact in our day to day lives. It will help to tone and sculpt your body, whilst controlling breathing and the way you carry yourself. The benefits of Pilates in the workplace are clear for everyone to see. The typical office worker is overstressed and out of shape. Many office workers slouch and suffer from conditions such as Occupational Overuse Syndrome. Pilate’s unique series of exercises can combat all of this effectively, with noticeable results from day one. For this reason, Pilates is becoming increasingly popular in the corporate environment, having a really positive impact on workplaces all across the UK. So if you are thinking of rallying the troops together for an exercise class, Pilates is a great place to start. It’s great for individuals and it’s also great for the team as a whole. Are your staff members actually as interested as you are? Do you have a suitable location available and is there a need to assess your staff members’ health conditions first? All of this must be thought about first, but with an effective communications strategy in place this should be no problem! If you’re thinking about starting Pilates classes at your workplace, contact Fit4Work today and we can advise and consult on everything you need to know to get started. If you’re looking for Pilates classes in Leeds please visit our other website (PhysioLeeds.co.uk) where you can view the full timetable and book your place onto our weekly mixed-ability pilates classes!